It is time to come out and support your Faction. We’re opening a friendly competition among our Captains and Backers to spotlight the most popular Factions among those in the Star Traders RPG Quadrant. There are bonuses at stake in the existing Star Traders games (RPG and 4X Empires) so get to your voting poll as fast as possible and make your allegiances known! 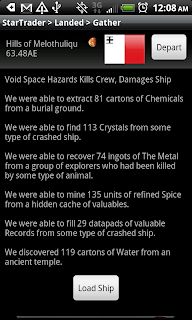 Any Faction who receives at least 50 votes will receive a minor Faction bonus in Star Traders RPG as well as a minor advantage to their Faction-specific technology in Star Traders 4X Empires. Getting a full 50 votes is not going to be easy, so get the vote out! 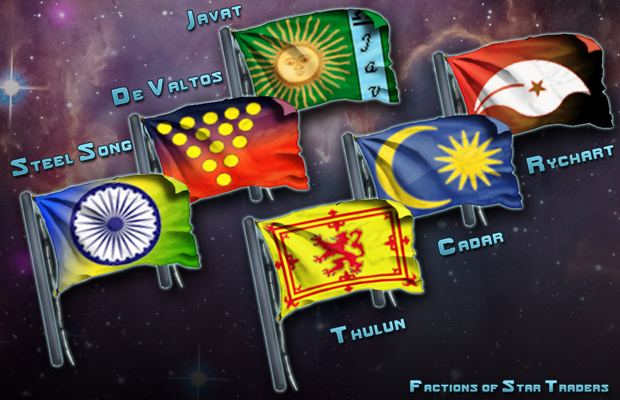 The Faction who receives the highest number of votes will be crowned the winner and will receive a major Faction bonus in Star Traders RPG as well as a major advantage to their Faction-specific technology in Star Traders 4X Empires. Your Faction needs you! Read all the rest on the KickStarter Update #8!